People with defined contribution pension savings will no longer have to worry about their pension savings being taxed at 55% on death. The Chancellor today (Monday 29 September) announced that from April 2015 individuals will have the freedom to pass on their unused defined contribution pension to any nominated beneficiary when they die, rather than paying the 55% tax charge which currently applies to pensions passed on at death. Around 320,000 people retire each year with defined contribution pension savings; these people will no longer have to worry about their pension savings being taxed at 55% on death. Find out more about how the new pensions system will work and what it means for you - read our eight things to know about the new system. From next year, individuals with a drawdown arrangement or with uncrystallised pension funds will be able to nominate a beneficiary to pass their pension to if they die. If the individual dies before they reach the age of 75, they will be able to give their remaining defined contribution pension to anyone as a lump sum completely tax free, if it is in a drawdown account or uncrystallised. The person receiving the pension will pay no tax on the money they withdraw from that pension, whether it is taken as a single lump sum, or accessed through drawdown. Anyone who dies with a drawdown arrangement or with uncrystallised pension funds at or over the age of 75 will also be able to nominate a beneficiary to pass their pension to. The nominated beneficiary will be able to access the pension funds flexibly, at any age, and pay tax at their marginal rate of income tax. There are no restrictions on how much of the pension fund the beneficiary can withdraw at any one time. 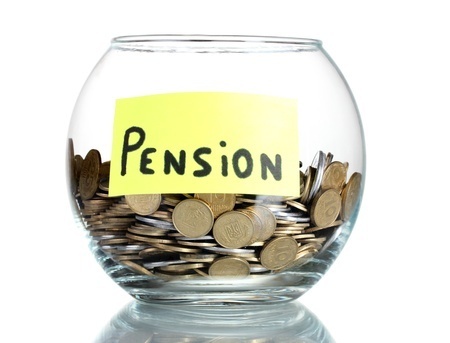 There will also be an option to receive the pension as a lump sum payment, subject to a tax charge of 45%. This system replaces the current 55% tax charge which the government committed to reviewing as part of the Freedom and Choice in Pensions consultation and has the potential to benefit all those with some form of defined contribution pension savings – that is 12 million people in the UK. At Budget 2014, the government announced a fundamental change to how people can access their pension. From April 2015, around 320,000 individuals retiring each year with defined contribution pension savings will be able to access them as they wish, subject to their marginal rate of tax. The tax free pension commencement lump sum (usually 25% of an individual’s pot) will continue to be available. This policy will be scored at the Autumn Statement and is expected to cost around £150 million per annum. The individual can also pass their defined contribution pension to a dependant (which includes their spouse/civil partner or child under the age of 23), who can then draw down on it at their marginal rate of tax. Where the individual dies under the age of 75 and the defined contribution pension has not been touched, it can be paid out as a lump sum completely tax free (up to the lifetime allowance). Under the new system, anyone who dies below aged 75 will be able to give their remaining defined contribution pension to anyone completely tax free, whether it is in a drawdown account or untouched as long as it is paid out in lump sums or is taken through a flexi access drawdown account. This does not apply to annuities or scheme pensions. Those aged 75 or over when they die will be able to pass their defined contribution pension to any beneficiary who will then be able to draw down on it at their marginal rate of income tax. This tax cut will apply to all payments made after April 2015. Beneficiaries will also have the option of receiving the pension as a lump sum payment, subject to a tax charge of 45% (if the deceased was over 75). The Government intends to also make lump-sum payments subject to tax at the marginal rate (not a flat rate charge of 45%). It will engage with pension industry in order to put this regime in place for 2016-17. The Lifetime Allowance (currently £1.25m) still applies.